A new procedure for storing livers donated for transplant has been hailed a "game changer" and approved for use on the NHS. These could include livers taken from elderly people or those in poor health and those damaged while the organ was removed from the donor's body or while being kept in ice. Prof Kevin Harris, at NICE, said: "It offers another way of preserving the liver and assessing whether livers which might have previously been considered unsuitable can be used safely. "By using this procedure, more patients on the organ transplant waiting list could be offered a chance of a transplant and thereby potentially extending their lives." 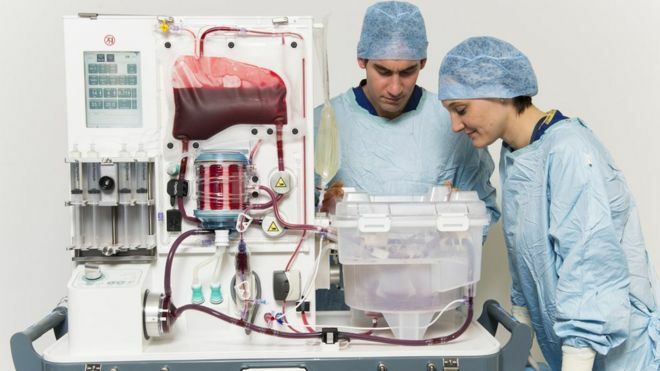 Darius Mirza, professor of transplant surgery at University Hospitals Birmingham, said the machine was a "game changer". "In the 30 years I've been involved with transplantation, there have been three or four events which have been game changers and I'm absolutely certain we are looking at a game changer that will change the way we practise organ storage and transplantation." "I signed up for the trial not knowing I would be one of the first to have this procedure in the country. Before my transplant I was very ill. I was losing weight, I couldn't sleep and my quality of life was quite low. "I had a transplant after the hospital found a donor who was a match. The liver was kept alive using this procedure overnight and I was able to have the operation the following day. Nine days later I was back home. "Having a transplant has changed my life. 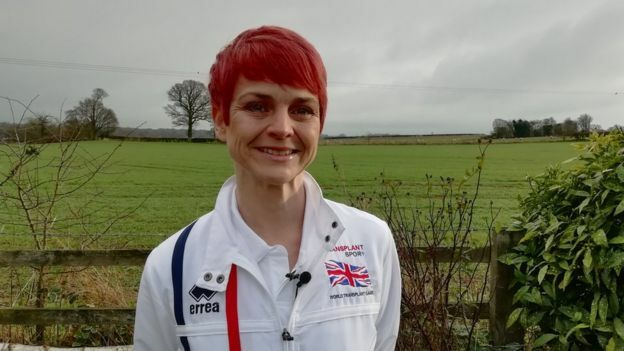 I've joined the gym, got fit and gone back to work and did some voluntary work for the Staffordshire Search and Rescue team and I also compete nationally and internationally in the Transplant Games as a member of the Team GB transplant team. "My life is unbelievably wonderful. I'm very healthy, I'm very happy and very active. I think I've been very lucky." Vanessa Hebditch, from the British Liver Trust, said every year hundreds of people with advanced liver disease died while waiting for a transplant and this procedure offered "real hope". "It is an exciting development that has the potential to shorten waiting list times and reduce mortality rates from advanced liver disease," she said. "After transplant, the vast majority of people go on to lead full and healthy lives and it is truly amazing to see the transformation." The latest evidence from trials reviewed by a NICE committee concluded that the procedure "worked well and was safe to be offered to patients who had been fully informed of the risks and benefits". Doctors need to seek approval from their trust's management and record all data from the procedure in a database to further monitor its success.